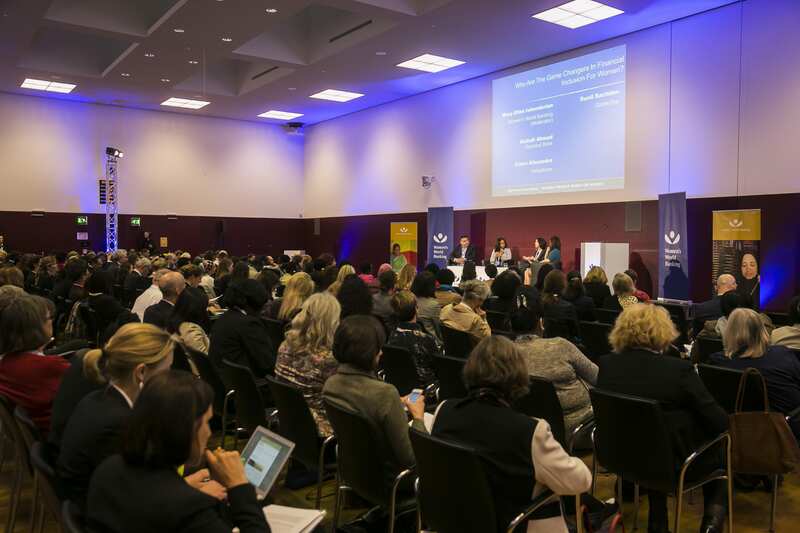 Women’s World Banking had the great privilege of hosting our bi-annual conference with Germany’s Federal Ministry for Economic Cooperation and Development (BMZ) in Berlin last week. Our Summit came on the heels of the G7’s own conference (which we co-presented) entitled “Economic Empowerment of Women – Unlock the Potential.” The Parliamentary State Secretary to BMZ, Thomas Silberhorn, welcomed attendees of both events, reiterating Germany’s commitment to women’s economic empowerment which Chancellor Angela Merkel set as one of the key priorities of the German G7 presidency this year. The Women’s World Banking summit was a practical complement to the high-level discussions of the G7 conference, giving center stage to financial institutions, researchers, global brands, donors and development agencies to discuss their goals, challenges and approaches to bringing inclusive finance to low-income women worldwide. We opened the conference with a conversation that highlighted the significance of making finance work for women. To quote moderator Raj Kumar, “Financial inclusion is not high on the list of development priorities but it is connected to ensuring that the priorities above it succeed.” The session also reminded participants that financial inclusion is not just about a bank account – it is reaching out to women to close the “emotional distance” many of them feel and to support them with non-financial services. The first plenary on game-changers in financial inclusion acknowledged the disruptive forces of mobile technology and fintech startups on traditional banking. The session ended with a call to action that all players in the digital financial services ecosystem, including regulators, must work together to ensure compatibility within the system, not to discount traditional forms of banking and keep apprised of innovation because even today’s disruptors are themselves being disrupted. “The branch is not dead yet,” said Aishah Ahmad of Diamond Bank. Two one-on-one discussions focused on data: the first highlighted the positive correlation between women’s access to finance and the well-being of women and communities. The second conversation highlighted the need for better integration of digital financial services to existing systems and to tailor them to women or risk their further exclusion. A plenary on targeting women as clients allowed consumer product experts to share their years of experience reaching the oft-neglected women’s market, especially when it comes to financial services. Understanding women and tailoring the product and marketing to the variations among your target market was a key takeaway. A conversation with “The Art of Perception” author Amy Herman invigorated participants with interactive demonstrations of the follies of communication and observation. Her parting words, “Change the way you look at things, and the things you look at change” was a reminder to participants to look closely at the women’s market to understand what a market opportunity it can be. The next plenary highlighted the importance of collaboration and partnership among government, financial institutions and private companies if technology is to truly fulfill its promise as an inclusive enabler of financial inclusion. The plenary on impact investing revealed that despite the positive data, gender-lens impact investing still hasn’t taken off. As one panelist put it, “the best thing we can do for ourselves is to develop a track record and prove the business case,” once and for all. The final plenary of the first day showcased examples of how corporations can leverage their supply chains and provide financial and non-financial services to low-income women to bring them into the formal financial sector and why serving women means “future-proofing” their business. Day 2 kicked off with an opening conversation with the CEO of Excellence in Leadership Award winner Al Majmoua from Lebanon. The critical support microfinance can provide to vulnerable populations came into sharp focus in the discussion surrounding Al Majmoua’s efforts to serve the millions of Syrian refugees in the face of local opposition and donor fatigue. Five breakout sessions focusing on making financial products work for women wrapped the rest of the day: individual lending, small and medium enterprises, savings, insurance and pensions. Panelists shared examples and data from their own experiences providing these financial services in their markets. The Summit wrapped with a conversation with CEO of NMB Tanzania, Ineke Bussemaker who believes that the role of banks is to enable economic growth, whether small or big. NMB has seen not just the social good, but also the opportunity, which is why they are betting on serving low-income women. We are grateful to BMZ, KfW Bankengruppe and Deutsche Bank who helped us bring our conference to Berlin as well as our generous sponsors without whom our event would not be possible. 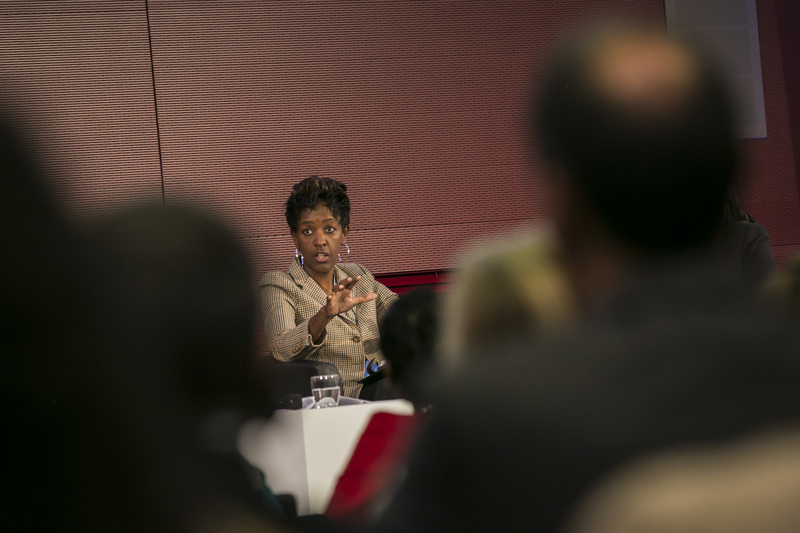 The Making Finance Work for Women panels were so much more than this quick recap. Synopses and analyses of all sessions from our staff are coming to our blog, so be sure to check back over the next few weeks. But if you can’t wait, recordings of the panels are available on our Youtube page and curated tweets from the event are up on Storify. We hope to see you at our next Summit in 2017!